Set up by LA based celebrity trainer Barry Jay in 1998, Barry's Bootcamp is a one-stop cardio and strength training workout. T he original Barry's class is a mix of running and weights - 25 minutes of cardiovascular work on the treadmill and 25 minutes of strength training on the floor. 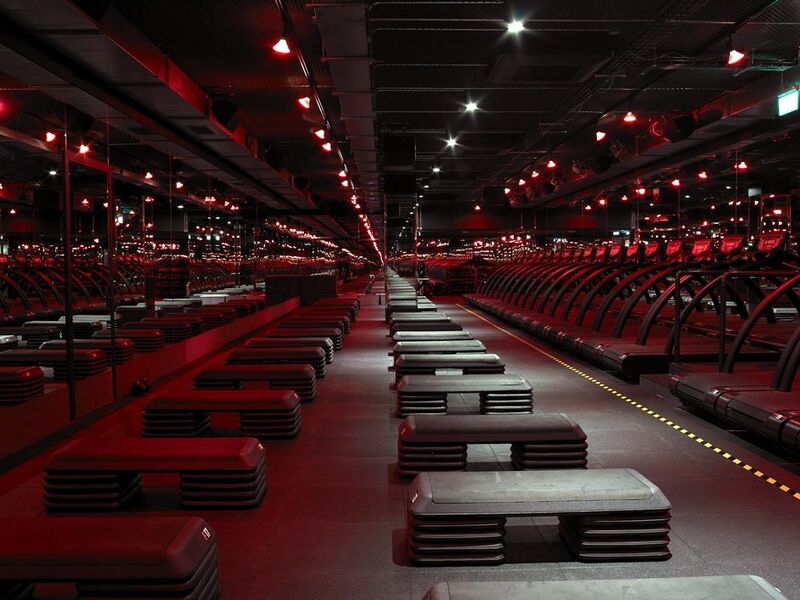 The music, the signature red lights and t he instructors are all designed to push you to do a full and effective high-intensity workout. Each class is different so you'll never have the same routine to help banish boredom or gym fatigue. There is also a Double Floor class for those days you can't run or just can't face the treadmill. Barry's Bootcamp was one of the first boutique group fitness studios. It launched in London back in 2013 and continues to expand, opening its fifth London studio, Barry's Canary Wharf in Crossrail Place in February 2019. The studio includes changing rooms with luxury products and a free towel service as well as Barry's Fuel Bar for nutritious post-workout protein shakes. Barry's Bootcamp Canary Wharf gyms, sporting activities, health & beauty and fitness. What are the best dining options near Barry's Bootcamp Canary Wharf London? The best pubs near London Barry's Bootcamp Canary Wharf. Barry's Bootcamp Canary Wharf clubs, bars, cabaret nights, casinos and interesting nightlife. Where to have your meeting, conference, exhibition, private dining or training course near Barry's Bootcamp Canary Wharf. From cheap budget hotels to luxury 5 star suites see our special offers for Barry's Bootcamp Canary Wharf hotels, including Canary Riverside Plaza Hotel from 91% off.